Magnesium is a mineral that's crucial to the body's function. Magnesium is the fourth most abundant mineral in the human body. It plays several important roles in the health of your body and brain. Magnesium helps keep blood pressure normal, bones strong, and the heart rhythm steady. A deficiency of magnesium is frequently seen in patients with diabetes, and magnesium supplementation can help them. We know magnesium is a mineral that the body needs in abundant quantities; one of its many functions specific to diabetics is that it aids in the transport of glucose across the cell membrane, thereby helping to reduce insulin resistance. 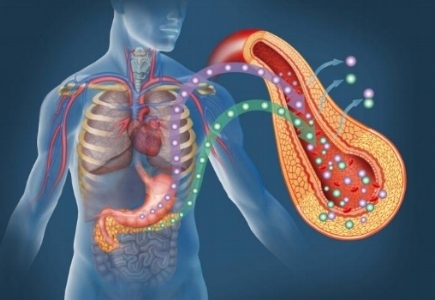 It is also an integral part of the insulin secretion and binding processes. In addition to its critical role in supporting heart health, magnesium regulates calcium absorption to help maintain bone strength and helps maintain proper muscle and nerve health. Although it’s important to eat food rich in magnesium—like whole grains, fish and seafood, leafy greens, soy products, and seeds and nuts—daily supplementation is key to keep your levels consistent and healthy. Nature's Edge® CitraMag™ contains trimagnesium citrate - a 100% pure trimagnesium citrate which has been found to be the best absorbed magnesium studied. This means that your body not only gets more of this wonderful mineral, but is better able to utilize it throughout your body. How does Magnesium help the body? CitraMag® is a registered trademark of Tishcon Corp.